Sydney CBD Chiropractor and Functional Medicine specialist Dr Adrian Clegg discusses the differences in treatment methods between migraine and cervicogenic headaches. Cervicogenic headaches and migraine headaches are two of the most common types of headaches but can have extremely different causes. For effective headache treatment, it is crucial that the type of headache and the triggers are identified before any type of headache treatment is considered. A cervicogenic headache is a type of structurally based headache which originates in the joints, muscles and soft tissues of the neck. The pain often starts in the back of the neck or base of the skull, traveling up over the head and spreading to the top of the skull, forehead and temple. Pain or discomfort may also be present behind the eye. Structural problems in the upper spine (cervical) region are often the cause. The atlas vertebrae (C1), axis vertebrae (C2) and the base of the skull is an area that is well known for causing cervicogenic headaches. Regular breaks and stretching exercises are not being adhered to. Workers are either not completing the necessary stretching routine and taking regular breaks or they are not aware of what they should be doing to maintain ideal posture at their workstation throughout the day. Pain or discomfort may also be present behind the eye. Structural problems in the upper spine (cervical) region are often the cause. The atlas vertebrae (C1), axis vertebrae (C2) and the base of the skull is an area that is well known for causing cervicogenic headaches. Poor posture from workstation set up, sleeping posture, whiplash and sporting injuries can all contribute to disturbances in the cervical spine which can lead to cervicogenic headaches. Many headache sufferers are unaware that many superior treatment methods exist to combat chronic headaches rather than relying on dangerous medications. Structural correction of the spine and cervical (neck) region can have dramatic results in providing long-term relief from annoying headaches. Opus Healthcare and Dr Adrian Clegg has been providing safe and effective headache treatment Sydney wide since 2001. Headache treatment Australia wide has unfortunately been predominately in the form of pain relief medications. Long-term use of pain medications and anti-inflammatories has been shown to cause rebound headaches. Although migraines and cervicogenic headaches can have similar symptomology, they also have many different triggers and hence require different treatment strategies. As in the cervicogenic variation, migraine headaches can be affected by the spine and specifically the upper cervical region of the spine. Specialized X-rays of the upper cervical spine are important for migraine patients. A twisted atlas vertebrae has been shown to create a blockage in the flow of the cerebro-spinal fluid (CSF). When the atlas bone twists it can partially pull the cerebellum through the foramen magnum, the hole in the base of the skull (occiput bone). When the flow of CSF becomes compromised the ventricles of the brain can swell, this in turn affects arterial blood flow in the brain leading to a migraine. Tumours or space occupying lesions of the brain. 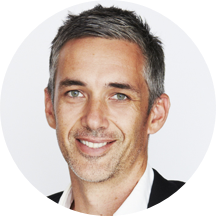 Due to Dr Clegg’s integrative approach to correcting the underlying cause of chronic health conditions, such as headaches and migraines, he has become one of the leading practitioners in headache and migraine treatments in Sydney and Australia. When I began practicing eighteen years ago, people suffering from multiple debilitating conditions had few places to turn to receive the care they needed to get better. As the years have gone by, I began to realise that more and more people were suffering with chronic health problems—feeling tired, depressed, gaining weight, experiencing digestive problems, allergies and a host of hormone issues. Over the years I have worked with 1000’s of people to help them overcome chronic health conditions using Functional Medicine and AO.